This infantry unit was formed in 1881. It existed until 1961, when it was amalgamated into The Queen’s Own Buffs, Royal Kent Regiment. The 1881 Army reforms gave Kent two county regiments, one of which was The Queen's Own (Royal West Kent Regiment). It was formed by merging the 50th (The Queen's Own) Regiment of Foot and the 97th (The Earl of Ulster's) Regiment of Foot. These became the new unit's 1st and 2nd regular battalions. In the next three decades, both battalions undertook garrison duties across the British Empire, including Britain, South Africa, Ireland, India, Malta, Singapore and Hong Kong. 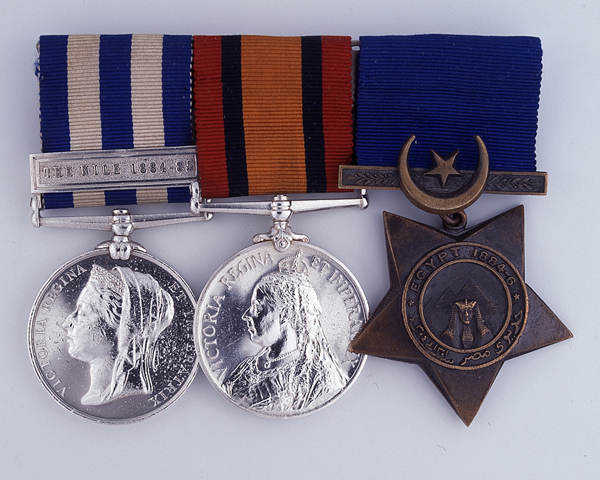 1st Battalion fought at Kassassin and Tel-el-Kebir in Egypt in 1882, and at Ginnis in the Sudan in 1884. 2nd Battalion served in South Africa during the Boer War (1899-1902). 1st Battalion deployed from Ireland to France at the outbreak of the First World War (1914-18) in August 1914. In February 1915, 2nd Battalion landed in Mesopotamia (now Iraq), where it remained until the war's end, although two of its companies were captured at Kut al Amara in April 1916. 1st Battalion briefly deployed to Italy between November 1917 and April 1918, before returning to the Western Front for the remainder of the conflict. The regiment also raised 14 Territorial and New Army battalions between 1914 and 1918. These served at home stations, Gallipoli, Mesopotamia, Italy and on the Western Front. 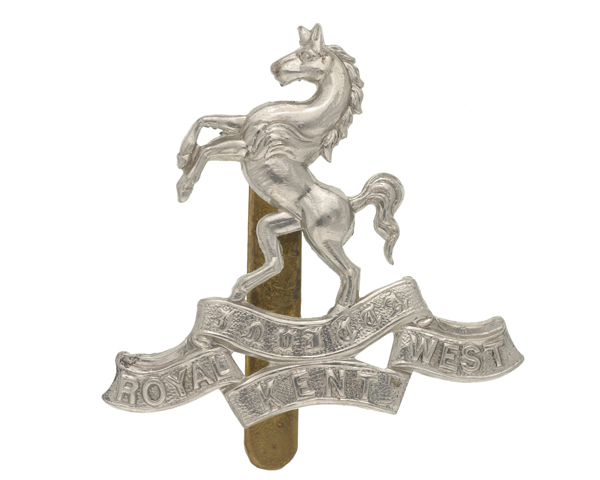 In 1921, the unit’s title was changed to The Queen's Own Royal West Kent Regiment. Between 1919 and 1921, 2nd Battalion was stationed in Germany and Ireland, before settling down to British garrison duty. In 1937, it moved on to Palestine. 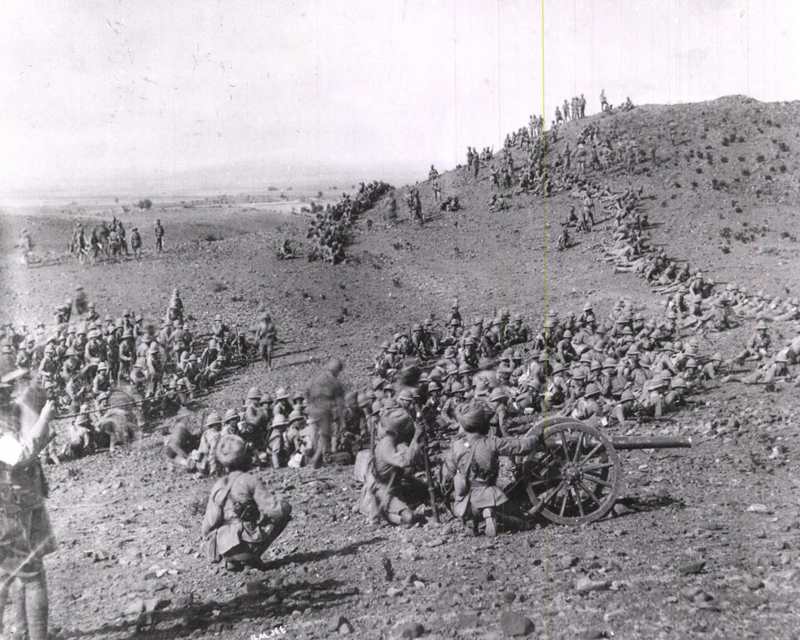 Aside from three years in Britain from 1937, 1st Battalion spent the inter-war years on the Indian sub-continent, including service in the Third Afghan War (1919). Both 1st Battalion and the 4th Territorial Battalion deployed straight to France at the outbreak of the Second World War (1939-45). They were evacuated from Dunkirk in June 1940. 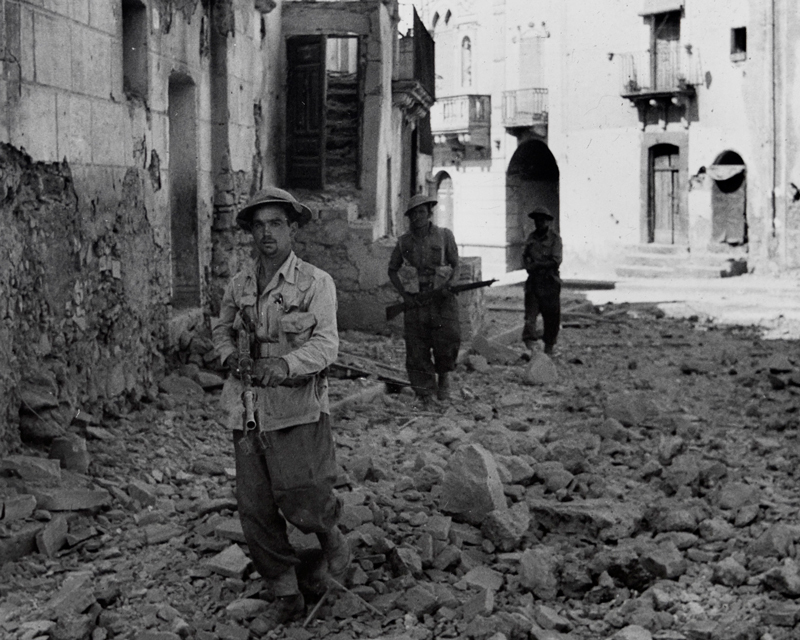 Meanwhile, 2nd Battalion had moved to Malta in 1939 and garrisoned the island throughout its siege. In June 1943, it left Malta to serve in North Africa, where 1st Battalion had landed three months earlier. In September 1943, 2nd Battalion joined the unsuccessful Dodecanese Campaign. It was captured on the island of Leros. In May 1944, the regiment formed a new 2nd Battalion by renaming its 7th Battalion, but this remained in Britain until the end of the war. After serving in North Africa, 1st Battalion spent 1944 fighting its way up through Italy. It was transferred to Greece in December of that year. Other Territorial and hostilities-only battalions of the regiment fought in North Africa, notably at El Alamein and Alam el Halfa in 1942, and in Italy at Monte Cassino in 1944. 4th Battalion also served in Burma, where it played a leading role in the Battle of Kohima (1944). In 1945, 2nd Battalion joined the occupying forces in West Germany. It returned to Britain in 1947 and merged with 1st Battalion the following year. The regiment went on to serve during the Malayan Emergency (1948-60) from 1951 to 1954, the Suez Crisis of 1956, and against guerrillas on Cyprus from 1957 to 1958. It returned to Britain in 1959. Two years later, it amalgamated with The Buffs (Royal East Kent Regiment) to form The Queen's Own Buffs, Royal Kent Regiment. Explore the history and collections of The Queen's Own Royal West Kent Regiment by visiting the regimental museum in Maidstone. This infantry unit was raised in 1824. It served until the 1881 reforms, when it was merged into The Queen’s Own (Royal West Kent Regiment). This infantry unit was raised in 1755. It served in many British Army campaigns until 1881, when it was amalgamated into The Queen’s Own (Royal West Kent Regiment). This infantry regiment was formed in 1961. It had a brief existence until 1966, when it merged with three other units to form The Queen's Regiment.